Acupuncture is a system of health and healing that originated in China over 3,000 years ago. It is used to treat a variety of health conditions from musculoskeletal pain to digestive concerns. Most treatments last for just 30 minutes to an hour, depending on the condition that is being treated. Our convenient location in North York’s Bayview Village Shopping Centre is on the subway line and easily accessible via public transportation or by car, located just off the 401. We’re open with a practitioner available to help you from 7 a.m. to 7 p.m., Monday to Friday, Saturdays 9-4 and Sundays from 12-5. 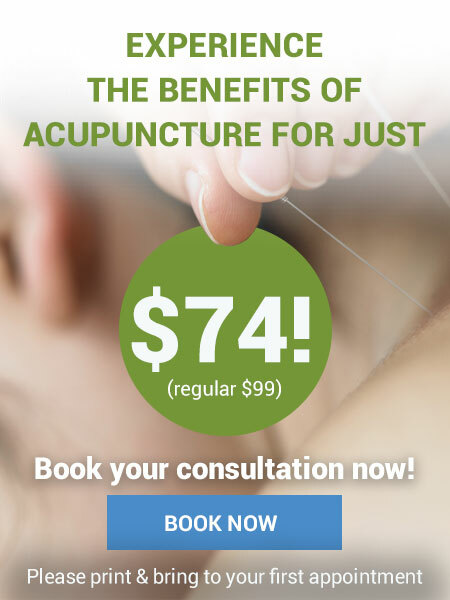 Find out how our certified acupuncturists can help you. Contact us today to book an appointment today and save $25 – book your new patient appointment for just $74!